Parents frequently find themselves wondering what happened to their kids as they move from one stage to another. From toddler to school-age to tween to teen, there are dramatic changes. But there is no more dramatic change than that of a high schooler to a college student. And that transition is never more obvious than when your college student comes home for the summer. One dad reported that when he dropped his middle daughter off at college as a new freshman, it was pretty traumatic. 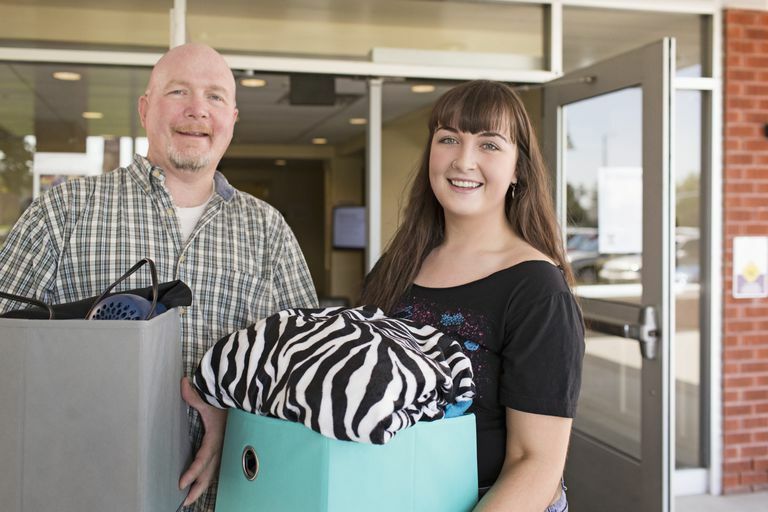 He helped her move into her dorm room and then went with her to barbecue for the incoming freshmen. As she began to connect with new friends, Dad and Mom tried to just "slip away," but she was having none of that. "You're just going to LEAVE me?" she asked. The answer was yes and then, as her parents drove away, she truly began her college career. At the end of two semesters when she was headed home for a summer job, the transition was equally traumatic. But this time the friends and the independence that scared her so much just nine months earlier were now sadly left behind and she was returning to the family home with many of the old rules and none of the new college friends. It is clear that your college student is not the recent high school graduate that you dropped off at college, and will tend to resent the control we like to exercise as parents over younger children. But by the same token, the high degree of independence she enjoyed at college doesn't work for a family, even if it is just her parents. So how can parents, particularly fathers, adapt to having the college student back home, respecting her status and her high degree of independence without sacrificing family needs and still maintaining a good relationship? It is a tall order to be sure. But parents experienced at this transition suggest some of the following ideas and concepts that can help with this important time in your family's life. Set ground rules adult to adult. Your child returning home from college is now an adult and has been living in an adult world with adult rules. So sit down together when she returns, lay out your concerns and listen to hers. Talk about rent, money, behavioral expectations, friends and other important issues. You should be able to address most of the issues together as responsible adults. What about curfews? This tends to be one of the most contentious issues. After all, it can be hard for parents to enforce a curfew with younger children when the college son or daughter doesn't have one. So, while it is a hard transition back for the college student, a reasonable curfew is appropriate. And without a curfew, parents don't typically get a lot of sleep, which can lead to more conflicts. While your child is living under your roof, he or she can expect to live by the "house rules." Returning kids should have some responsibilities. One of the "house rules" should be that everyone contributes time to managing the household. Your kids have had to do things like chores in their apartment or dorm, and they will have some responsibilities when they return to school as well. So having them do their own laundry, take on a couple of weekly chores and keeping their room clean are all appropriate expectations. Parents should not feel like slaves to their college student home for the summer, but neither should they take unfair advantage of their college child. Find an appropriate balance. Don't expect them to hang out with you. Students returning home from college now have a widely expanded world. They will be much more tuned into friends and maintaining college relationships online and by social networking. Parents should not plan on their college kids stepping back into their pre-college family roles. So give them some room and don't put a lot of time demands on them. Life will just not be the way it was before they left for school. Focus on the simple courtesies. Because the kids are back living at home, Mom and Dad will worry when they aren't home. Yet the college age kids will want more independence. One of the happy middle ground approaches is to let each other know via text message when one will be later than expected or not home for dinner. Because everyone involved is an adult, everyone should show some common courtesy to each other. Feel free to regulate other people in your home. Often college kids come home with new attitudes, new friends and maybe even new beliefs that are different than what they experienced before college. Your college student may want to bring friends into your home that do not reflect your values or that may be a dangerous influence for you or for your younger children. It is acceptable to draw some lines in the sand about young adult friends that you don't want in your home. They can connect at a local restaurant, club or a mutual friend's home if you aren't comfortable with them in your home. It is important for your college student to remember that if they are living under your roof and in contact with your family, then they have to follow your rules. That will not be the case when they have their own apartment and are paying their own way. But you can feel comfortable standing firm with the agreements you reach up front and help teach your college student the continued importance of respect and mutual consideration - both key skills for adults. As you work together, try to understand each others' needs, and communicate effectively, the summer home can be a positive experience for both parents and the college student.